If you're looking for a new stroller, we think the best for most people is the Baby Jogger City Mini (available at Amazon for $181.99). How do we know? We've spent months researching every stroller on the market—over 230 of them. We've read thousands of user reviews, talked to other real parents, and spent weeks testing over 30 of the very best to see how they hold up in the real world. But just like buying a car, most strollers get the job done; finding the "best" one means finding the best one for you. While we think anyone will love our top picks, a person who lives in a third-floor apartment downtown has different needs from a person who lives in the 'burbs. Nearly every stroller on this list offers something for someone, so even our non-winners are worth investigating. 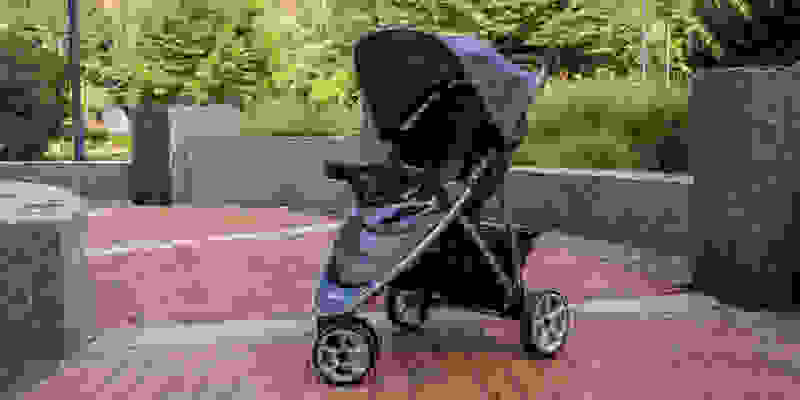 Note: this guide will cover nearly all of the strollers we've tested, but if you want to narrow it down first we'd encourage you to check out our guide to the best strollers under $300, the best strollers under $200, the best strollers under $100, and our guide to the best lightweight and umbrella strollers. It's not perfect, though. The storage space is only so-so compared to other strollers and there's minimal clearance between the basket and the seat, meaning you often have to put larger bags in the storage space before your child is in the seat. And while the stroller is lightweight and very durable in my experience, the seat doesn't have much padding—though my daughter still falls asleep in it all the time. Car seats and warranty info: The City Mini is rated for children up to 50 lbs, and is compatible with BOB, Britax, Baby Jogger, Graco, Chicco, Peg Perego, Cybex, and Maxi-Cosi infant car seats with adapters (available at BabyJogger.com). Most adapters cost $20-30, though the Peg Perego and Chicco adapters are $60. And despite the Baby Jogger brand name, it is not a jogging stroller. Though we ultimately prefer the City Mini, the Viaro actually has some advantages over our top pick. The storage basket is larger and more easily accessible, it includes the cup holder and child tray by default, and sale prices dip as low as $150 at times. Why not go for the Viaro? Well, the canopy doesn't connect to the back of the stroller and so it has minimal protection in the rain. The City Mini offers a much better canopy, is adaptable to a wide range of car seats, and is easier to assemble, but the Viaro is fantastic for the price—just keep the forecast in mind. The Bugaboo Bee5 is a fairly light (19.6 lbs) and super stylish premium stroller with some neat, well-designed features and a very smooth ride thanks to a four-wheel suspension. It's highly maneuverable, can support heavy loads in the underseat basket, and it folds up well enough to appeal to city dwellers who need to lug it up stairs every day. My favorite feature was the ability to fold the seat up, giving you instant access to the storage basket underneath. It's a brilliant piece of design, though you can obviously only use it when the seat is empty. It also features a reversible seat, a stunning array of stylish customization options, and an extremely solid frame that feels like it'll last for years. On the negative side: The fabric sunshade may be stylish, but the underlying canopy frame feels flimsy. There's also no way to peak through, though you can reverse the seat if you want to see your child when they're first using the seat. The stroller folds up nicely, but it does require two hands to collapse, unlike our top pick. The price puts this squarely in the "premium" territory, starting at $739 on Bugaboo's site. Does anyone need a $700 stroller? Not at all, but high-end strollers are very popular and this is the best model we tested. It's fully customizable with different colors, patterns, and limited editions, but you're paying 2-3x more than you need to if you just want a comfortable way to carry your kid from A to B. Car seats and warranty info: The Bugaboo Bee5 is good for children up to 37.5 lbs and is compatible with Britax, Maxi-Cosi, Chicco, and Cybex infant car seats with adapters (sold separately). 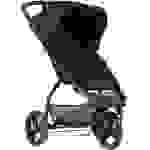 It comes with a two-year warranty that is extended to three years if you register your stroller. 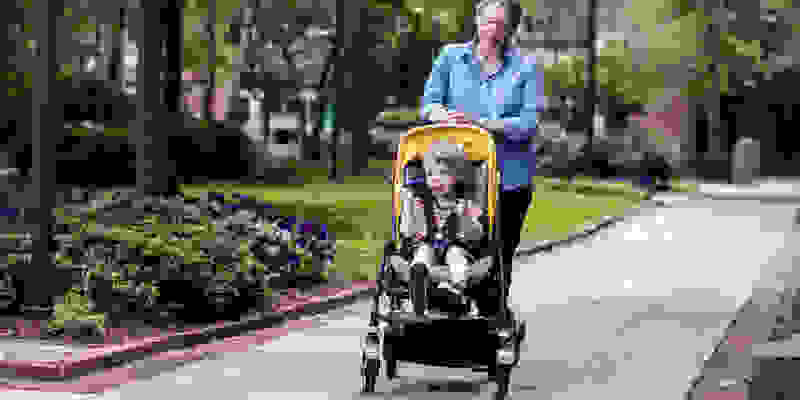 The find the best stroller, I spent months researching every single stroller on the market—over 230 of them. To find the best stroller for you (and let's be real, for me too), I spent months researching every. single. 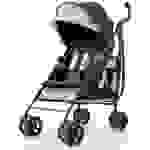 stroller. on the market—over 230 of them. I also spoke to every parent I knew, traveled to every baby store in a 20-mile radius and spoke to salespeople about what customers like most, and pored over thousands of user reviews. Finally, I called in more than 30 strollers for testing and cross-comparison over the course of about two months with my kids, some other parents in the office, and a few other parents. Testing consisted mostly of what you'd expect; we looked at how easy they were to fold and unfold, weight, build quality, ease of cleaning, storage space, maneuverability, and how easy it is to get all your stuff (and your kids) in and out. With some product roundups, it's difficult to pick a winner. Not so in this case, with the Baby Jogger City Mini very clearly running away with the title as the best stroller—regardless of price. There's nothing special about super expensive strollers. For this guide, we tested several strollers that cost over $1,000—and we mostly came away unimpressed. Premium models typically come with things like designer fabrics, customizable wheels, leather-clad handles, and other touches that have nothing to do with how well a stroller operates. 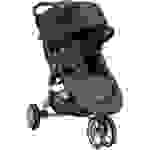 While we have nothing against people opting for a designer stroller, there's no practical benefit. You may want more than one stroller. 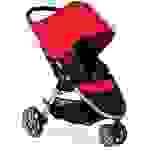 Most standard strollers aren't safe for kids who are under 6 months (until they can start sitting up on their own), so you'll either need adapters that allow you to attach your infant car seat to your stroller of choice, a dedicated bassinet/pram, or a caddy frame that can also accept your infant car seat. Even after your kid is big enough to use standard strollers, you may still want to pick up a second lightweight/umbrella stroller. These models are super compact and are perfect to keep at a grandparent's house or if you're taking a trip. You'll probably want to coordinate your infant car seat and stroller purchase. In line with the point above, your life will be easier (and you'll have to buy less stuff) if you get an infant car seat that is easily adaptable to your primary stroller. One of the reasons we like the Baby Jogger City Mini so much is that it's widely adaptable to a huge range of car seats, letting you pick the best car seat for you (or find one on a discount) without needing to buy an inferior stroller. Adapters are not perfect. While it's easy to say that an adapter exists to attach an infant car seat to a stroller, not all adapters are equal. 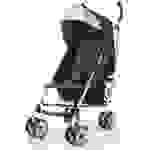 Many are little more than flimsy metal bars that can clip into the bottom of a stroller. Typically the adapters that feature two upward-facing arms are the most secure, as they tend to slot into either side of the stroller in specialized connection points. Your mileage will vary, though, so get and check everything you need well before your baby arrives. 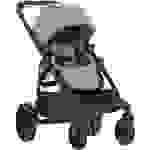 Standard stroller: This covers most strollers, including almost everything in this guide. They are average in size, typically weigh 20 lbs or more, and hold one child from about 6 months until he or she is about 50 lbs. While we researched and compared over 230 strollers for this guide, we ultimately tested a little over 30 models. Though we think our top picks will cover most people, below you'll find our reviews of the other models we looked at. 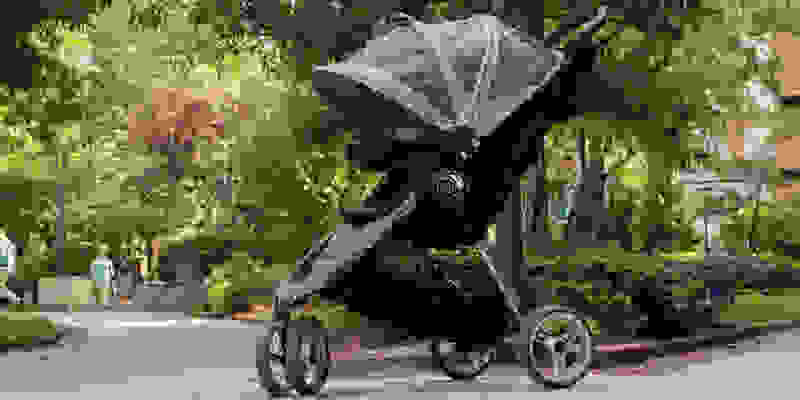 If you're looking for a lightweight umbrella or travel stroller, please see our guide to the best lightweight and umbrella strollers. If your main experience with Baby Jogger products is the City Mini, the new City Select LUX will surprise you—it's gigantic. The frame is thick and sturdy, the wheels are huge, and it has a cavernous amount of storage space. While it lacks the Quick-Fold action of the City Mini, it does still fold down nicely, with the ability to easily stand on its own when stored. 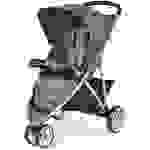 For parents who just need a stroller for one child, the City Select LUX may be a bit much. It's heavy at 30.4 lbs and has a very wide wheel base, making it tricky on busy sidewalks or in cramped stores. It's probably not a great fit for city dwellers, unless you can leave it in the car, garage, or you live on the ground floor. It does have some very nice touches, though. The ride is extremely smooth, and the handbrake means you can slow the stroller while going down hills just like you would with a bike. The fabrics clean very easily and resist staining exceptionally well, and the little modifications you can make like moving the seat bottom up so your child's legs can stick out straight are great when your child wants to nap. Car seats and warranty info: As mentioned before, the Baby Jogger City Select LUX is designed for children up to 45 lbs (per seat) and supports car seats from Graco, Britax, Maxi-Cosi, Peg Perego, Baby Jogger, Chicco, Cybex, Nuna, and BOB with adapters (all sold separately). It comes with a limited lifetime warranty on the frame, a 1-year warranty on the other parts, and no warranty on the wheels. 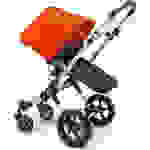 Mountain Buggy's main claim to fame is its line of durable, all-terrain strollers that can easily mount curbs and go places most strollers simply can't. 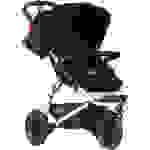 The MB mini continues that tradition, but it shrinks the whole footprint down to a size that would be more palatable to people who live in the city or just need a compact stroller. In testing, we really loved the MB mini's large tires. They're not air-filled as with the Mountain Buggy Swift (see below), but they are much bigger than similar models like the City Mini. Either way, the wheels would be a huge benefit if you need to routinely get over curbs or tree roots that other strollers struggle with. At just 16.8 lbs, the MB mini is one of the lightest strollers we tested, and it has a compact footprint when stored. It folds with one hand, but it does so from the bottom, which is trickier than the pull-to-fold handles on our top picks. Our biggest issue was the price. It's over $350 by itself, and many retailers only carry it as a travel system with the included car seat. Car seat and warranty info: The MB mini is designed for children up to 44 lbs and comes with a one-year warranty. It supports some Mountain Buggy, phil&teds, Maxi-Cosi, Chicco, Cybex, Graco, and Safe-n-Sound car seats with adapter clips (sold separately). As with the MB mini, the Swift is a well-built, durable, all-terrain stroller meant to function well from the city to the great outdoors. The Swift is slightly larger than the MB mini, and the main differences are that it features a hand brake and has larger 10-inch, air-filled tires. 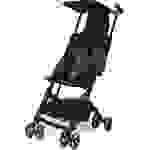 These allow the stroller to far more easily get over obstacles like curbs, roots, and rough terrain. That does mean you need to worry about things like popping a tire or losing air pressure, but you get a very smooth ride on most surfaces—perfect if you live somewhere with rough winters. It may also work as a jogger in a pinch, though it's not advertised as such and we haven't begun our jogging tests just yet. We weren't in love with the fit and finish of the stroller besides that—specifically the seat and the flimsy canopy—especially given the $450 price. But if you need a stroller that can handle rough roads, the Swift is a big hit among users and held up well in all of our tests. Car seat and warranty info: The Mountain Buggy Swift is designed for children up to 44 lbs and comes with a one-year warranty. It supports some Mountain Buggy, phil&teds, Maxi-Cosi, Chicco, Graco, and Safe-n-Sound car seats with adapter clips (sold separately). Bugaboo makes some truly excellent strollers, but the Cameleon wasn't one of our favorites. It was one of the most difficult strollers to assemble, and the modular design just didn't live up to our expectations. It has some nice features and a plush ride, but it's tricky to fold, tricky to adjust the seat, and it costs over $1,200. There are some unique features here that you won't find anywhere else, but for most people there are simply better options, including Bugaboo's svelte Bee5 stroller. The Cameleon gets its name from its ability to transform into many different configurations. You can use it as a standard stroller, a bassinet, or flip the seat and the handlebar so that your big wheels face forward—allowing you to get up and over rough terrain and curbs more easily. It even has a two-wheel mode for "sand and snow" that we can't imagine anyone ever using. The included bassinet is a nice extra (it costs about $200 to add one to the smaller Bugaboo Bee5) for people who want it, but in my experience, you will only use it for a very short period of time—we kept our daughter in the carseat while walking and she slept just fine. Car seats and warranty info: The Bugaboo Cameleon3 is rated for children up to 37.5 lbs and is compatible with Britax, Maxi-Cosi, Peg Perego, Chicco, and Cybex infant car seats with adapters (sold separately). It comes with a two-year warranty that is extended to three years once you register your stroller. If you've walked around a major baby store recently, you've probably seen the gb Pockit on display, claiming it's the smallest folding stroller on the market. I was skeptical when I first opened the box, but it really is a stunningly small stroller when folded up. The problem? Folding and unfolding it can be a real chore. When open, the gb Pockit is actually a nice umbrella stroller, but when compared to standard strollers the features just don't add up—the storage capacity is minimal, the sunshade isn't a full-size canopy, and the wheels are tiny—but these are par for the course with umbrella strollers. It might work for people with very particular needs, but for most people, this just won't hold up as a primary option. Car seats and warranty info: As with most umbrella strollers, the Gb Pockit doesn't support car seats. It comes with a two-year warranty. If you're shopping for strollers, check out our guide, The Best Lightweight, Umbrella and Travel Strollers.